Consequently, during his 12-year reign as German Führer, the international art industry was pulverized. Between the years 1933 and 1945 the Nazis orchestrated the most massive art theft in history, an estimated number of 750,000 artworks were victims of Nazi Plunder. The plunder of European art during World War II was as carefully planned—and devastating—as any military invasion. The selection, transport, and storage of artistic treasures was carried out despite the chaos of war across the continent. Nazi forces seized not only paintings but statuary and decorative art on an unprecedented scale. The subjects for art looting were primarily the Jews, but also many other groups, organizations and communities that qualified as enemies of the Third Reich, but also several state collections in occupied countries were also plundered. When Hitler became chancellor of Germany on January 31, 1933, one of his first ideas and actions was “cleansing of the German Culture. The cleansing included massive book burnings and labeling of degenerate art. The term degenerated art or Entarte Kunst describe virtually all modern art, artists without Aryan blood were deemed degenerate. A high priority was to track down all degenerate art, steal it and demolish it, that was Führer’s order. 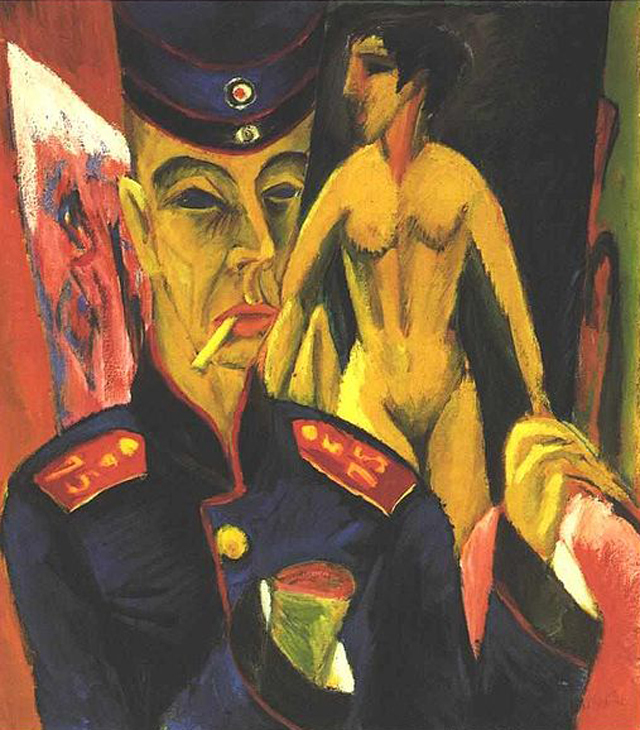 Nazi soldiers would make routine house calls to ensure that degenerate artists were not painting. This abuse has inflicted many modern German painters such as Ernst Ludwig Kirchner, who, after being labeled as degenerate and had all of his 600 works sold or destroyed, would commit suicide in 1938. 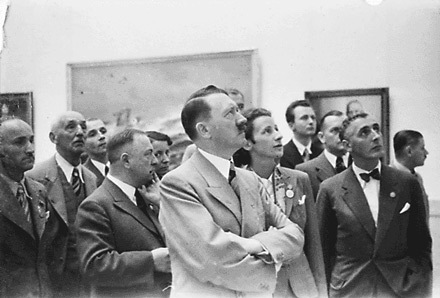 The paintings that were not destroyed were featured in a mock show entitled “Degenerate Art Show.” It was claimed that this show was meant to incite further revulsion against the “perverse Jewish spirit.” The famous pieces of art were crowded into small rooms and often displayed with a hanging cord. According to the history books, the first room contained art considered demeaning of religion, the second featured works by Jewish artists, in particular, and the third contained works deemed insulting to the people of Germany. A spectrum of the world’s most eminent artists could be found In the mock art show, names such as Alexander Archipenko, Marc Chagall, James Ensor, Henri Matisse, Pablo Picasso, and Vincent van Gogh. After the exhibit would end, the iconic pieces of art were either destroyed or sold very cheap at auctions.A large amount of “degenerate art” by Picasso, Dalí, Ernst, Klee, Léger, and Miró was destroyed in a bonfire on the night of July 27, 1942, in Paris. 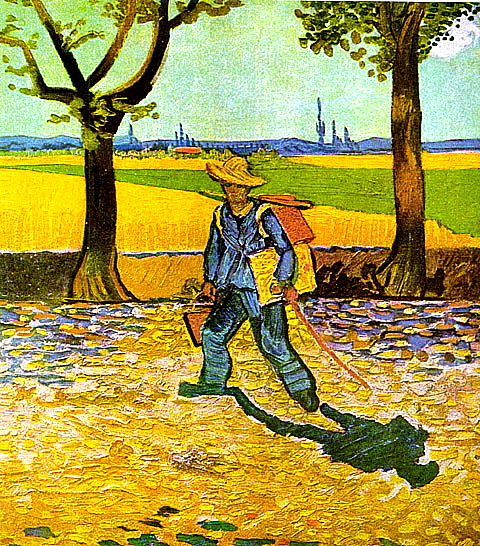 One of the most famous paintings to be burned during World War II is the Painter on the Road to Tarascon by Vincent van Gogh. It is not known for sure how the painting was burned, but it is thought to have perished when the Allied forces bombed Magdeburg, setting fire to the Kaiser-Friedrich Museum, which contained stolen art. Gustav Klimt, the Austrian Symbolist painter was also on Hitler’s degenerate art list, many of Gustav Klimt artworks were either stolen or demolished. The Schloss Immendorf castle in Austria contained 13 paintings by Gustav Klimt when the retreating Nazis demolished it with explosives. They included his paintings for Vienna University and numerous works from between 1898 to 1917, all originally placed in the castle for safekeeping. In 1907, Klimt painted a gorgeous portrait of Adele Bloch-Bauer, wife of a sugar magnate Ferdinand Bloch-Bauer. 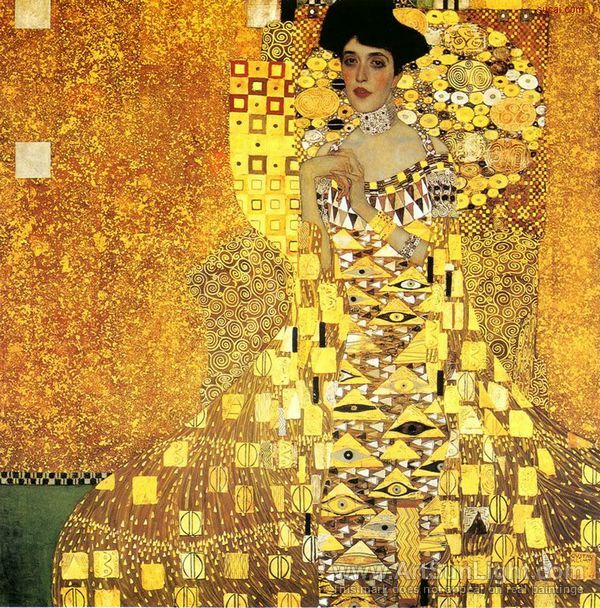 Adele in her will asked her husband to donate Klimt’s portrait of her to the Austrian State Gallery. She died from meningitis in 1925. In 1938, all of Ferdinand Block-Bauer’s property was put under “Protective Custody” by the National Socialist party. During the war, everything was taken away from Ferdinand and he eventually died in Zürich, Switzerland in November of 1945, leaving his estate to a nephew and two nieces, one of whom was Maria Altmann. By this time, five of the paintings had made their way into the possession of the Austrian government. In 1998, Maria Altman decided to regain what belonged to her and contacted a young American lawyer to explore the legal options to regain the painting, in light of a new Austrian restitution law. Maria Altman with the regained portrait of her aunt. On 16 January 2006, the arbitration panel ruled that Austria was legally required to return the art to Altmann and the other family heirs, and in March of the same year Austria returned the paintings. The paintings were estimated to be collectively worth at least $150 million when returned. In monetary terms, this represented the largest single return of Nazi-looted art in Austria. 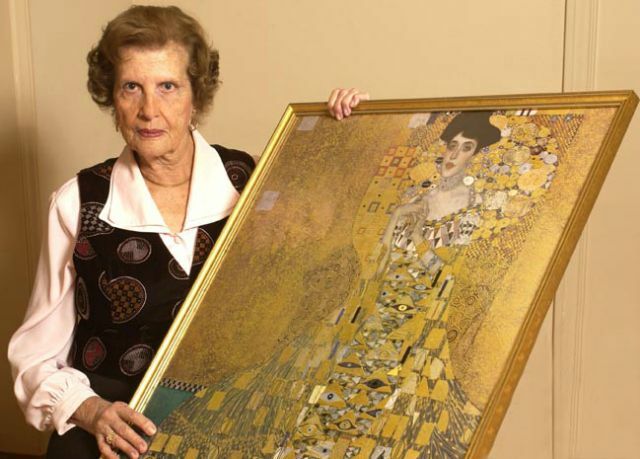 Months after the Austrian government returned Altmann’s family’s belongings, she consigned the Klimt paintings to auction house Christie’s, to be sold on behalf of her family. The painting Portrait of Adele Bloch-Bauer I (1907) was sold to cosmetics heir Ronald Lauder for $135 million, at the time the highest sum ever paid for a painting. In 1943, the Allied armies formed a coalition of men whose goal was to assist in the protection of valuable art and national monuments. 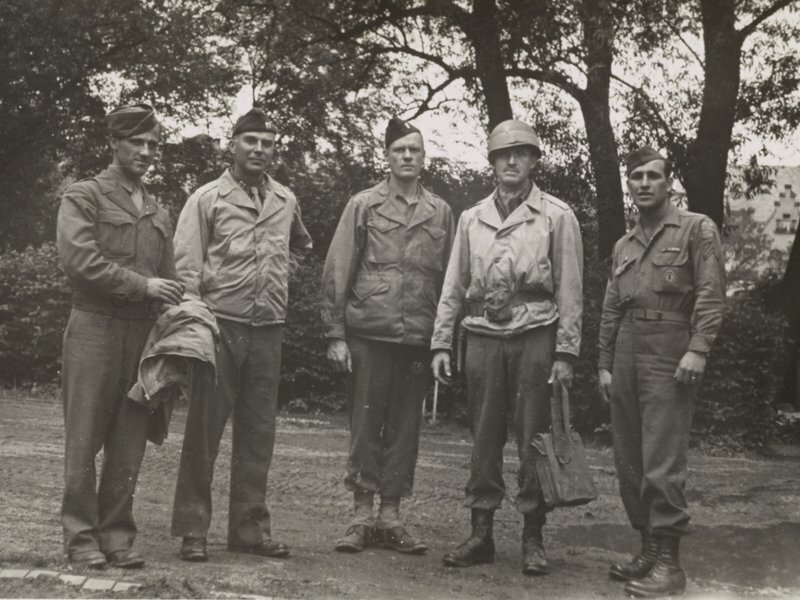 The group became known as the Monuments Men. In Germany alone, U.S forces found approximately 1,500 repositories of art and cultural objects, with hundreds-of-thousands of artifacts. Some of the most identifiable pieces of art were immediately returned to their rightful owners. However, thousands of artifacts were never claimed or stolen. After the Second World War, the Monuments Men returned identifiable objects to the governments of the countries from which they had been stolen. 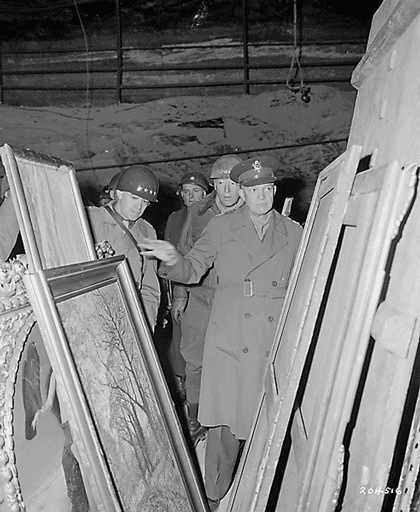 Despite the efforts of the Allies, a huge number over 100,000 of art objects looted by the Nazis are still missing. Works of art looted by the Nazis have also ended up in museum collections around the world via donations and purchases. Monument Men organizations still exist today, with the goal of tracking down and returning stolen art. Recently, a member of the organization stumbled upon an old picture taken during World War II.